Western Conference leaders the LA Clippers produced a stirring comeback to beat the Chicago Bulls and improve their franchise record start to an NBA regular season to 12 wins and two defeats. The Bulls got off to a flying start to open up a sizeable gap in the first quarter. By half time Chicago’s lead had been whittled down to five points. The Clippers continue to stay in touch in the third while they outscored the Bulls, 30-18, in the fourth quarter to complete their biggest comeback win of the season. Blake Griffin scored a team-high 26 points while Chris Paul chipped in with 19 and Marreese Speights scored all 16 of his points in the second half as the Clippers rallied from a double-digit deficit to win through 102-95. 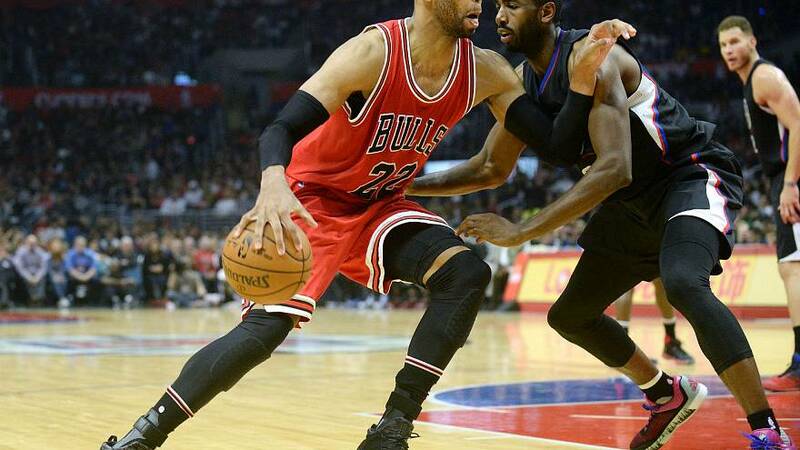 The victory snapped the Bulls’ four game winning streak. Kevin Durant scored 33 points and Klay Thompson finished with 29 as the Golden State Warriors extended their winning streak to seven games by holding off the Milwaukee Bucks for a 124-121 road victory on Saturday. Durant and Thompson combined to shoot 17-for-38 from the floor as the Warriors connected at a 44.2 percent clip and made 14 of 38 3-point attempts. Golden State also got 20 from Steph Curry and 10 each from Draymond Green and Andre Iguodala. The Bucks shot 52.3 percent for the game and were 10-for-20 from beyond the arc. Giannis Antetokounmpo led the team with 30 points and Jabari Parker added 28. James Harden produced a double-double and the Houston Rockets bench helped carry the load in a 111-102 victory over the Utah Jazz. While Harden finished with 31 points and 10 rebounds, the Houston (8-5) bench produced 44 points, 19 rebounds and seven assists. Rodney Hood and Trey Lyles combined for 46 points for Utah (7-7), which dropped its third straight. Forward JaMychal Green scored 19 points and grabbed eight rebounds and Zach Randolph added 18 points and seven rebounds off the bench as the Memphis Grizzlies stretched their winning streak to four games with a 93-71 trouncing of the Minnesota Timberwolves. The Timberwolves (4-8) were led by guard Zach LaVine’s 22 points. Goran Dragic scored 22 points, Hassan Whiteside had 18 points and 18 rebounds as the Heat’s offense carried Miami past the Washington Wizards for a 114-111 win. Miami (4-8) opened its four-game road trip by blowing past its previous season high of 108 points. Bradley Beal and John Wall each scored a season-high 34 points for the Wizards (3-9). Al Horford scored on a putback with 1.3 seconds remaining in his return to action, giving the Boston Celtics a 94-92 victory over the Detroit Pistons. Horford, who had missed the previous nine games while recovering from a concussion, had 18 points, 11 rebounds and five assists for Boston. He also sealed the victory by blocking an Aron Baynes shot just before the final buzzer. Anthony Davis scored 38 points, including a basket that forced overtime and eight points in the extra period, as New Orleans won consecutive games for the first time this season, 121-116 over the Charlotte Hornets. Veteran guard D.J. Augstin provided a spark off the bench for Orlando, scoring 10 of his 18 points in the fourth quarter as the Magic escaped with an ugly 95-87 win over the undermanned Dallas Mavericks. Joel Embiid scored a career-high 26 points, Nik Stauskas added a season-high 21 points and the Philadelphia 76ers led from start to finish in a 120-105 victory over the Phoenix Suns. Embiid was questionable to even play with a sprained left ankle.